The village of Ghal Kalan in Moga is set to witness a unique India-Pakistan bond created by one of its own. Manjit Singh Gill (43), who left his government job to make sculptures, has used art to immortalize the great achievers of India and Pakistan. 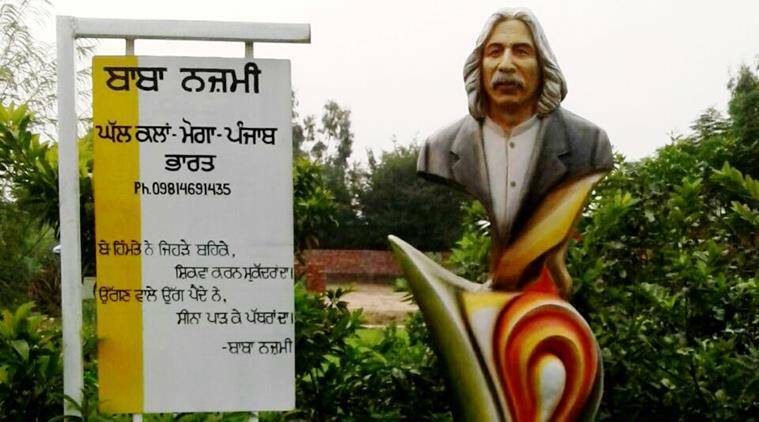 He is now set to unveil a statue of former president Dr APJ Abdul Kalam with BRAHMOS missile in the background and another of Baba Nazmi, a famous Pakistani poet known for his revolutionary poetry at the ‘Mahaan Desh Bhagat Park’ in the village. “I completed Dr Kalam’s statue today. I want this to be an inspiration for rural children. At the same time, Baba Nazmi who raised voice against atrocities through his poetry has been given a place in my village because we want future generations to see the great personalities of undivided India. People may go to Madame Tussauds Museum in London but they will never put statues of revolutionaries and freedom fighters of India who fought against oppression. People ask me why I left government job to make these statues but I get my answer when youths come here and click photographs with our real heroes,” said Manjit who is involved in sculpting with his brother Surjit Gill. Gill said Nazmi, who lives in Karachi, recently called him to express happiness at his statue being erected in a village in Punjab in India. “He was really happy and gave us blessings. He was ecstatic that a village is saluting the Indian and Pakistani talents both,” said Gill. “I gifted a statue of Baba Bulley Shah, the famous Punjabi sufi poet from Lahore to someone. Then I made the one of Ustaad Daman, Pakistani poet who wrote extensively on India-Pak partition tragedy. He added that he just wants visitors to cherish the India-Pak bond in his village.